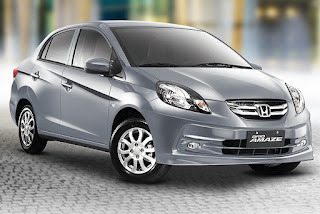 Continuing its knack for releasing special or limited edition variants of its models, Honda Cars Philippines, Inc. (HCPI) is doing just that with its Brio Amaze entry-level sedan. Coming by the third week of April (that’s this week), the Brio Amaze 1.3 S A/T Special Edition joins the line-up. And get this, this won’t be a super limited edition run. Priced at P 719,000, the Brio Amaze 1.3 S A/T Special Edition packs features which were only available on the V model line before and then some. Outside, it can easily pass for a V model grade thanks to its standard front fog lamps and 14-inch alloy wheels. Take note though that it’s only available in three colors: Crystal Black Pearl, Lunar Silver Metallic, and Taffeta White, the first two being new shades to the Brio Amaze. Inside, its gets an interior trim garnish for a classier look along with an Advanced Audio (USB, aux connectivity), and exclusive features for the Special Edition like rear seat arm rest, driver and front passenger vanity mirrors, driver and passenger front seatback pockets, and a total of five cup holders. And to ensure your investment is protected, it also comes with a security alarm system. What colors could we choose from ds ertiga gl mt. What best color could you recommend? I really appreciate ertiga GL MT...but i don't have any idea on what colors are available for this model.